Back in 2011, we have seen how to move a database which is participating in DB Mirroring here. 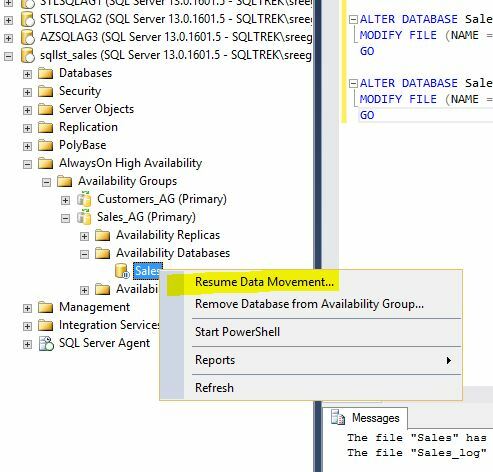 In this blog post, let’s see how to move a database which is participating in a AG to a new drive(location). In my AG setup,I’ve three replicas(2 near Replicas-Sync mode and 1 far replica sitting in a different data center-Async mode). The database which I will be moving to a new location is “sales”. See below for current paths. Remove the database from AG. Move the files physically to new location(s). Rejoin the database in your AG. In this method we shall see how to move files without removing the database from AG. 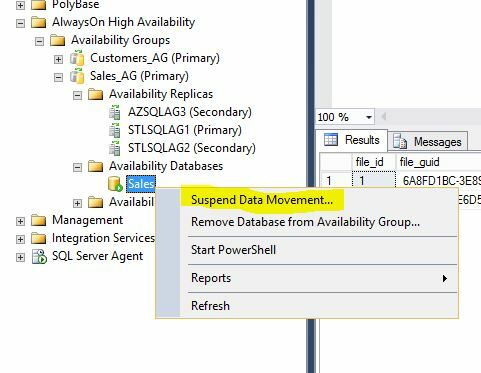 Suspend data movement for the database which you are working on to all replicas. Logically move the database files(On all the Replicas). 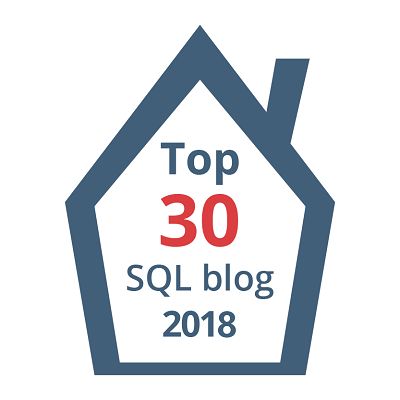 Stop the SQL Server services. – This step will create an outage for all other databases residing on this instance. Now move the physical MDF and LDF files to your new location. 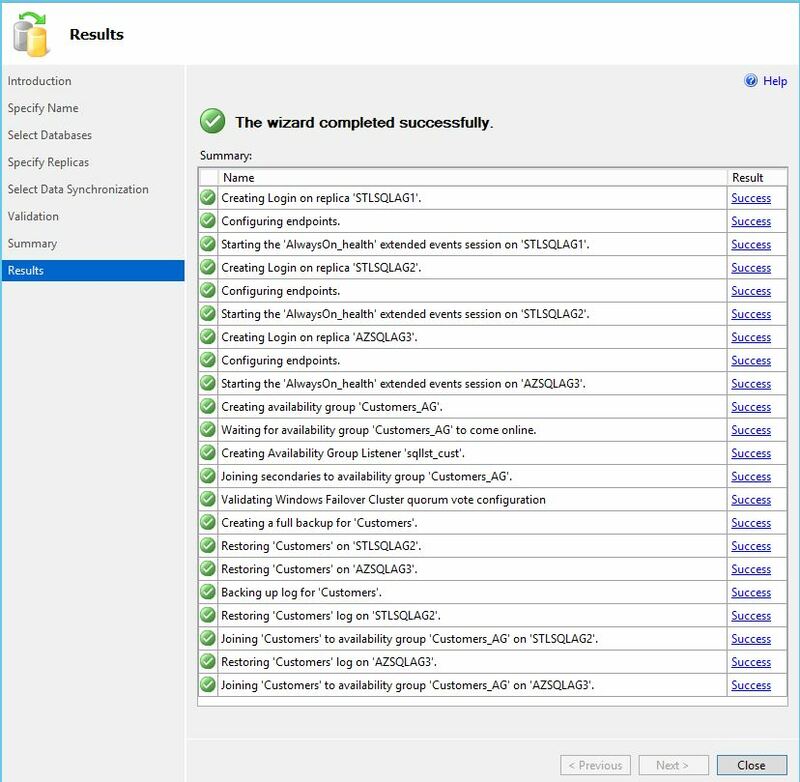 Start the SQL service from config manager. Before proceeding any further, I made sure the new path exists on of my replicas. 2. Run this on all the replicas. Now…I stopped SQL Services and moved physical files to new locations and started SQL Server. 3. Now resume data movement. Voila…Now it’s all set as per my requirement. 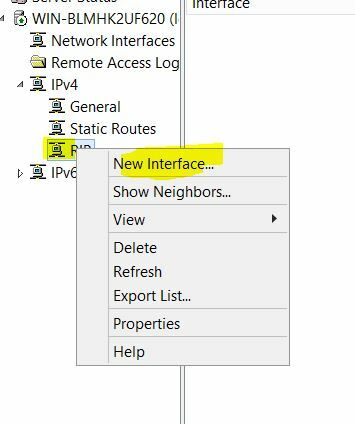 In part1, I’ve shown how to create a windows cluster in a multi subnet setup. In this post let’s see how to create a AG and corresponding listener. In my lab, I will be creating two AGs and two corresponding listeners. I’ve two databases – > sales and customers. Two AGs – > Sales_AG and Customers_AG.Two Listners – > sqllst_Sales and sqllst_Cust. 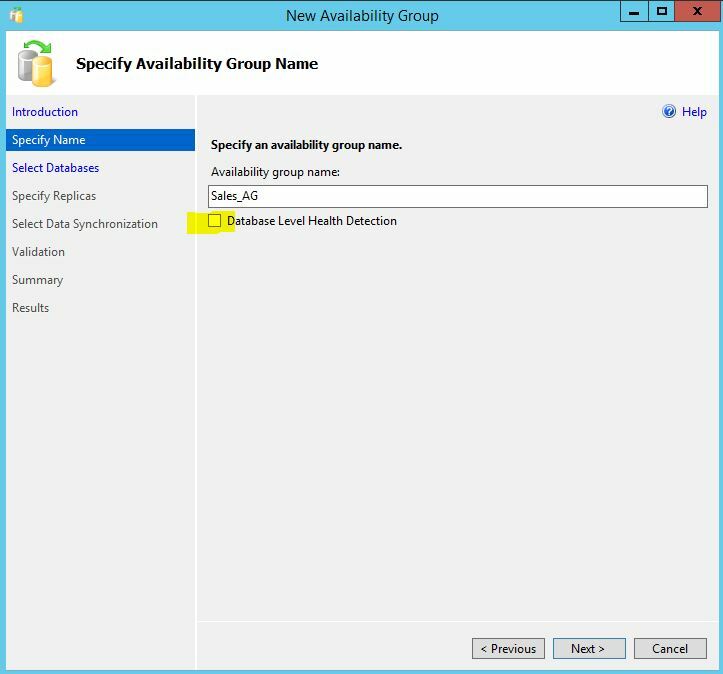 For sales AG, I’ve disabled “Database level health detection”, a new feature introduced in SQL 2016. Now, for Listener two IPs from both subnets have been provided. Same process has been followed for creating customers AG and listener as well(But this time I’ve enabled Database level health detection). 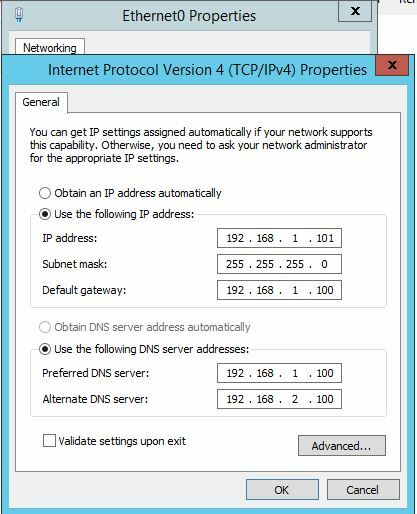 Since this is a multi-subnet setup two entries(one from each subnet) will be created in DNS for each listener name as shown below. 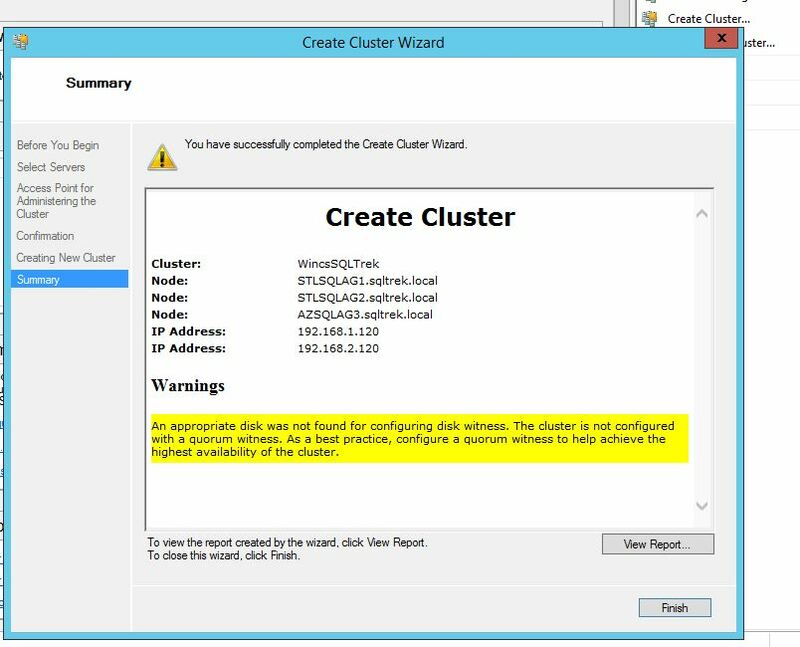 Let’s see how to setup an AG(SQL 2016) in a multi subnet cluster(Geo cluster) in a lab environment. Two Replicas sitting in my Production Data center. 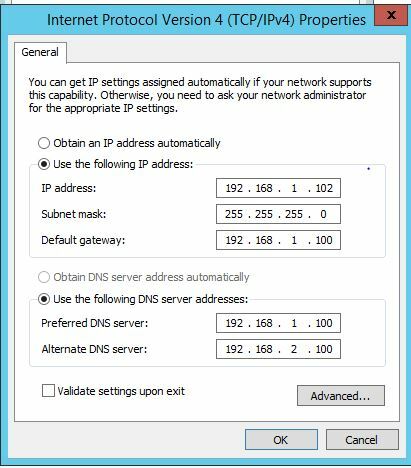 (Subnet 192.168.1.x) – Sync Mode Automatic Failover. Third(Far) Replica sitting in my DR Data Center. 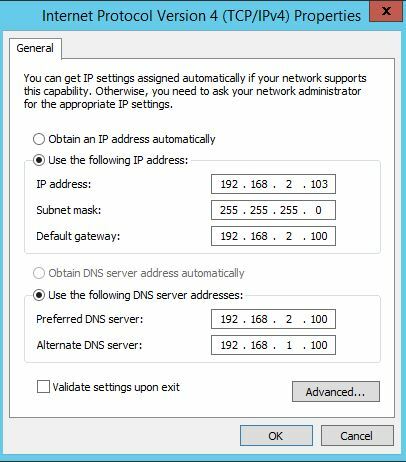 (Subnet 192.168.2.x) – Asynch Mode Manual Failover. So, What do we need to be able to setup multiple subnets and routing in a lab environment? Answer is “Routing and Remote Access“. 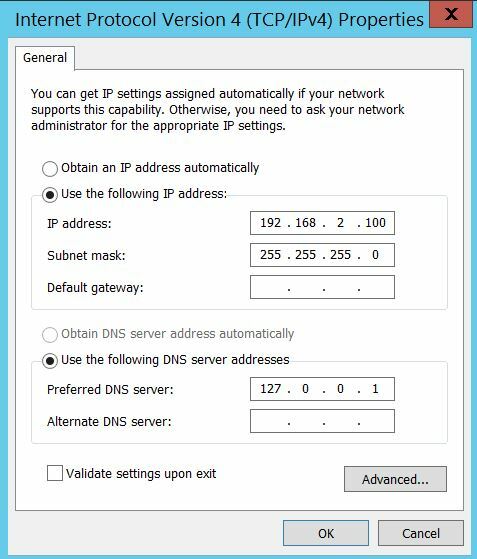 Have that installed by going to Add Roles/Features on your AD/DNS server. 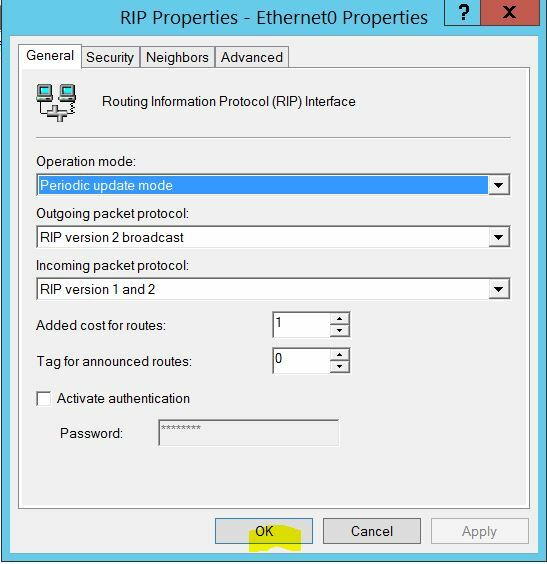 Open Routing and remote access config tool; right click on the root node and select “Enable and Configure Routing and remote access”. 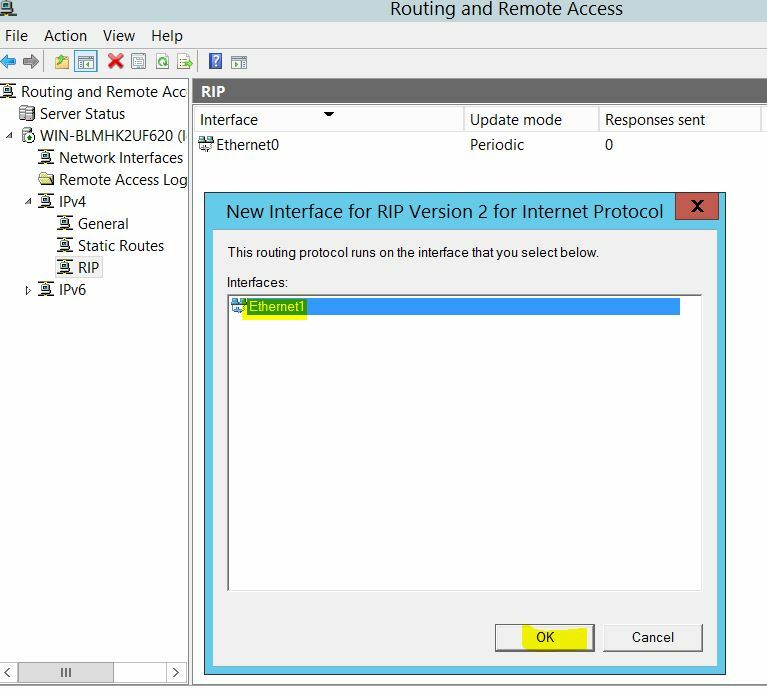 Now…under IPv4, under General right click and select new routing protocol and select “RIP Version 2 for Internet Protocol”. 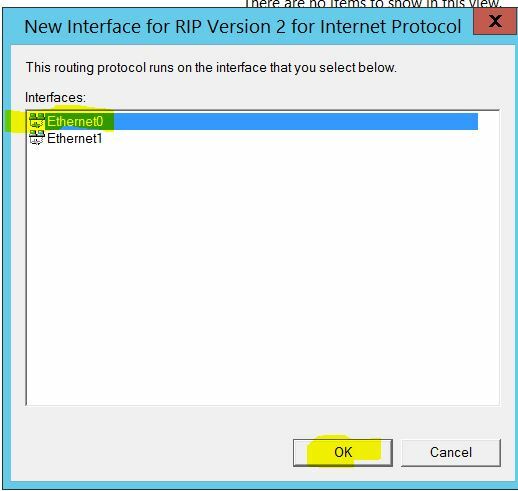 Now right click on RIP and select new interface and select your NIC1 and hit okay and next repeat the same step and select NIC2 this time and click okay. You are done with routing…That’s all you need for routing to work(As long as you got all the IPs and DNS details right). 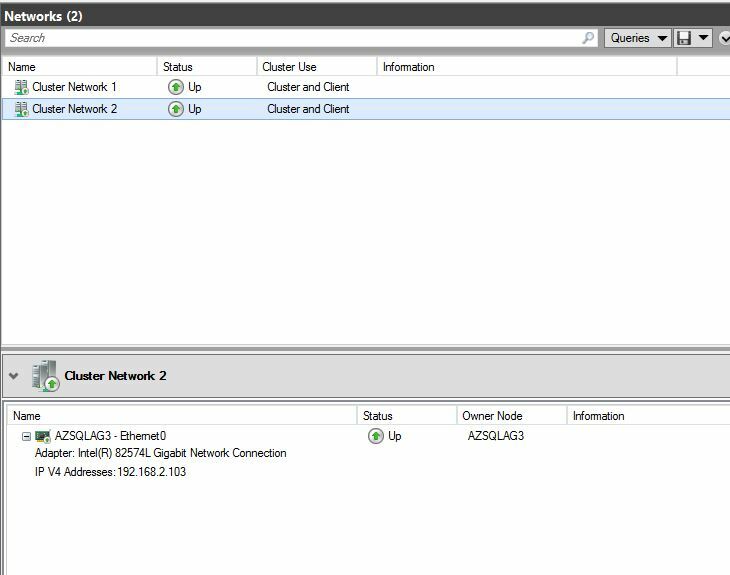 Now, I’ve setup 3 nodes(two nodes(Prd) in 1.x and one(DR) in 2.x) and installed Failover Cluster feature on all the nodes and disabled all firewalls. My PRD nodes: STLSQLAG1 and STLSQLAG2. 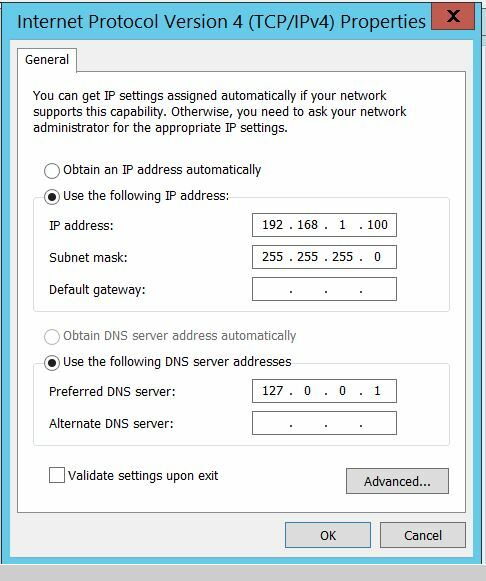 Do find all my NIC settings from all my nodes at the very end of this post. 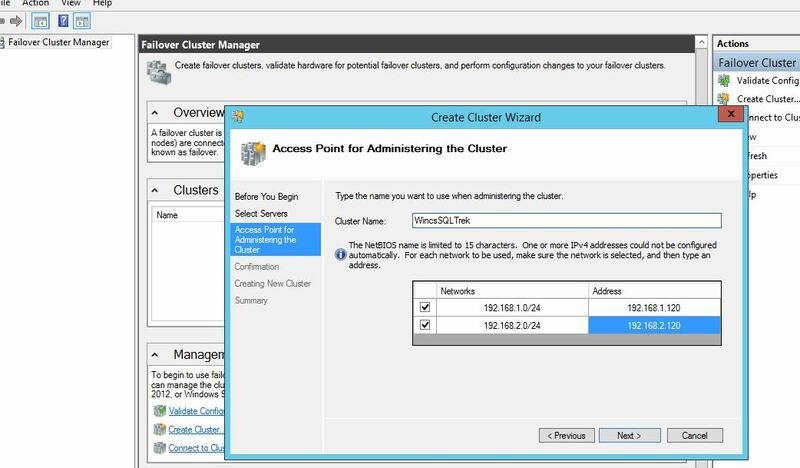 Please refer to my earlier posts on how to create a cluster under “Clustering category” for detailed steps. Below are the steps at a high level. 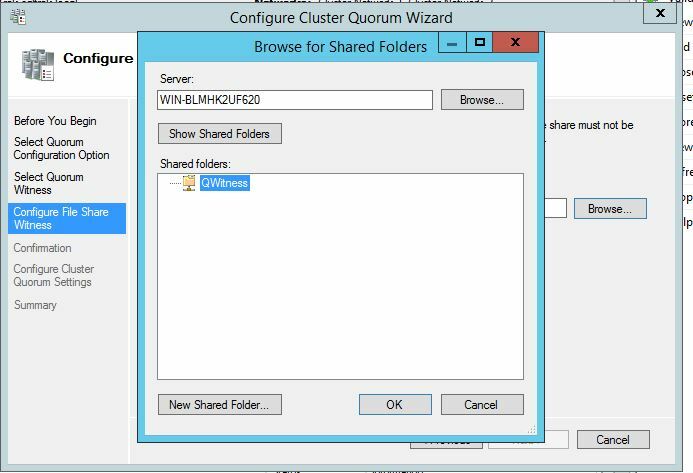 Now…My cluster is ready, but it’s missing Quorum which is very critical for a cluster to be healthy. 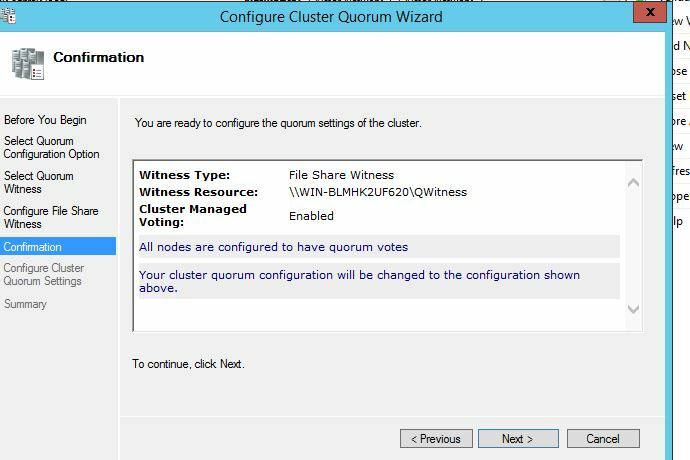 For that I’ve created a File share witness as Quorum. 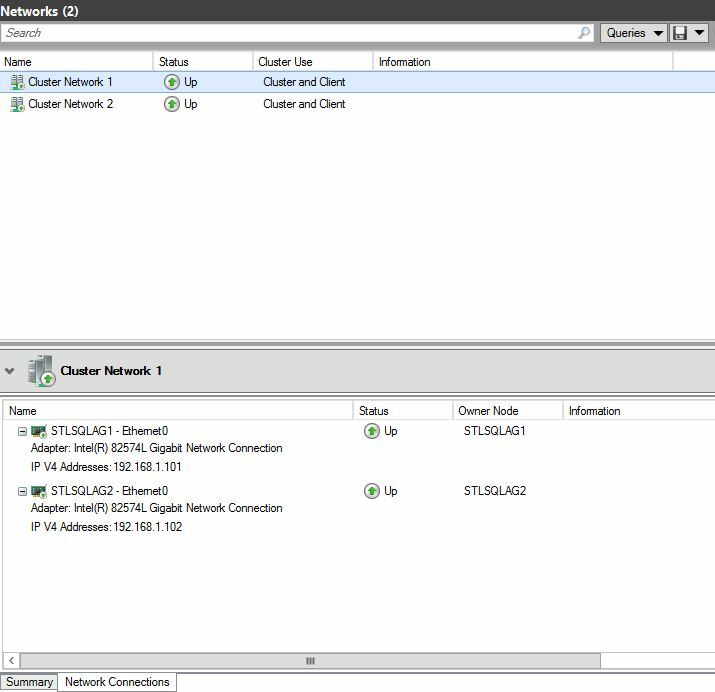 FYI, NIC settings from Cluster manager are shown below. 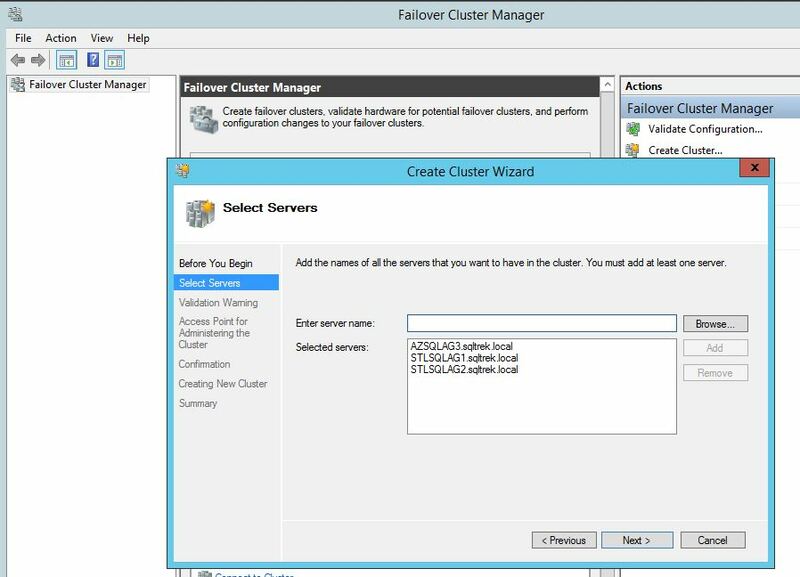 In this post we’ve seen how to setup a geo cluster in a lab environment. 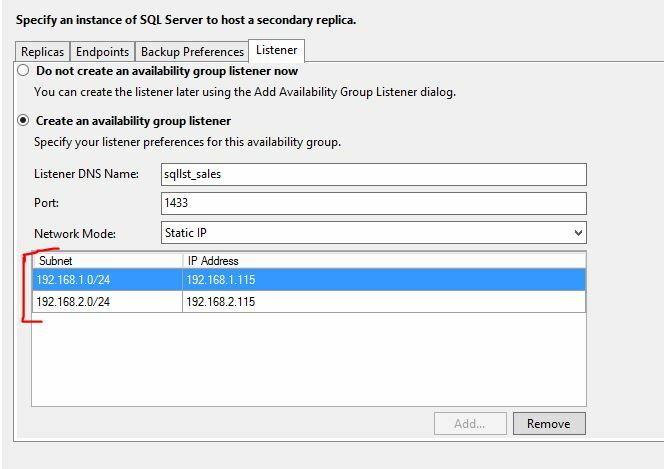 So, this completes the prep work needed from Windows stand point…Let’s see how to create AGs and Listeners in our Multi Subnet environment in next part of this series.